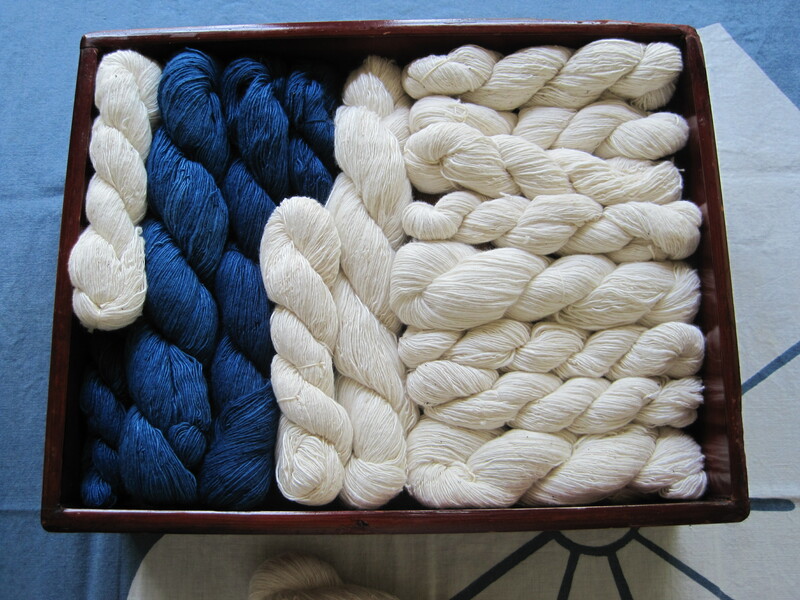 I have been inspired recently by African strip woven cotton fabrics, many of which are dyed with indigo. 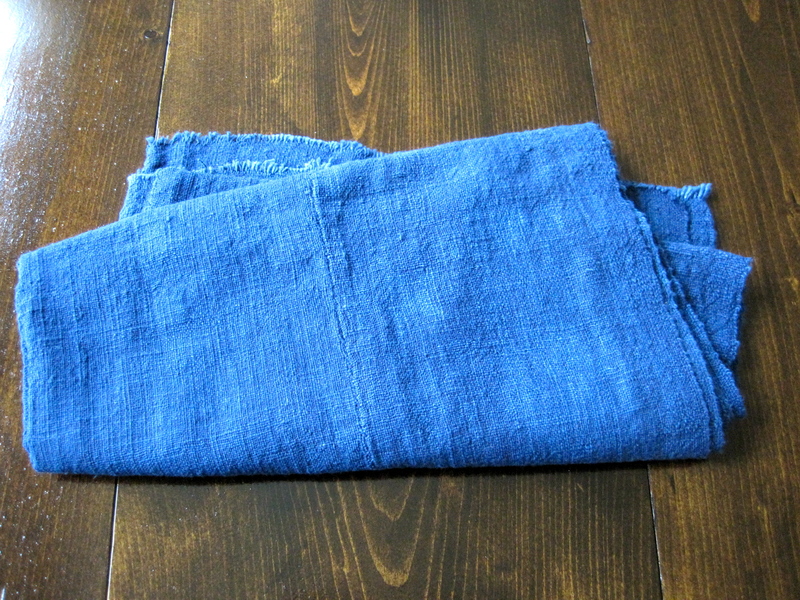 I used my own hand spun cotton to weave a strip 20′ long by 8″ wide. 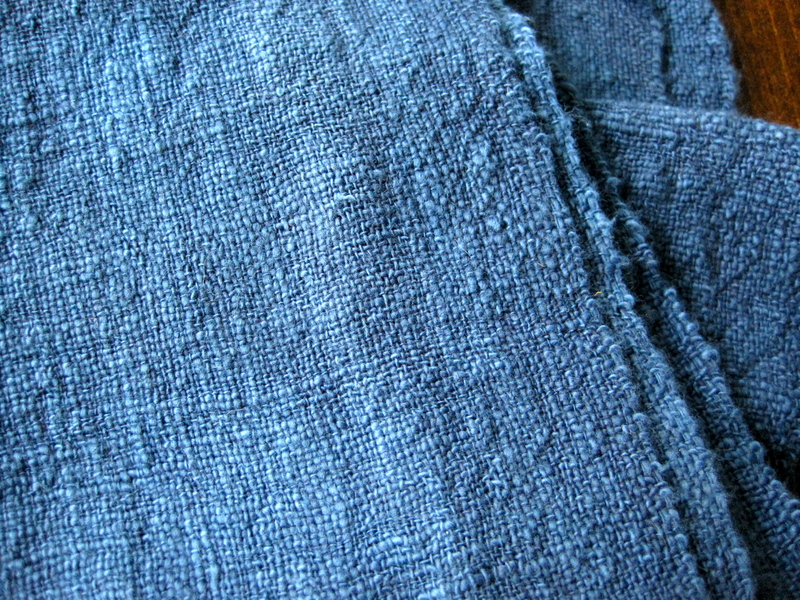 After the strip was woven It was dyed in old indigo to leave an inconsistent pattern on the fabric. 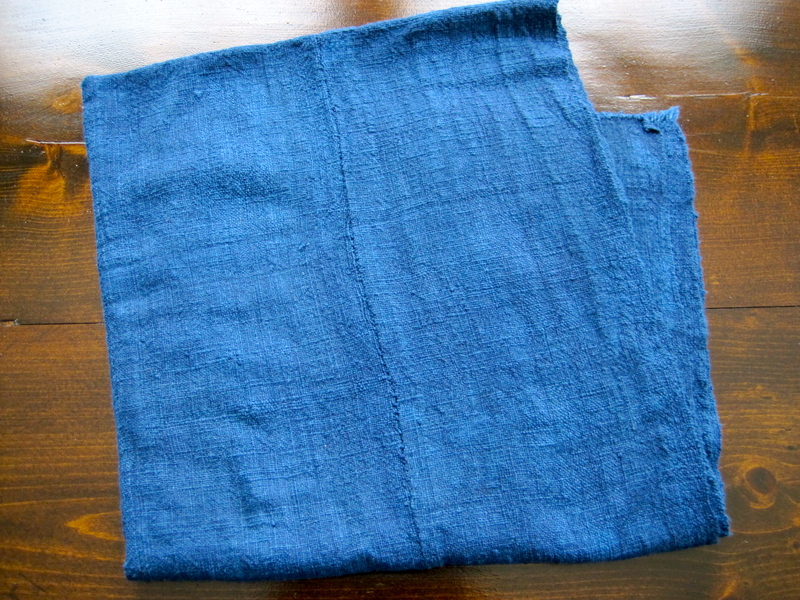 The strip was cut into shorter sections and then sewn together with hand spun thread before being over dyed with a strong indigo dye to darken the fabric. 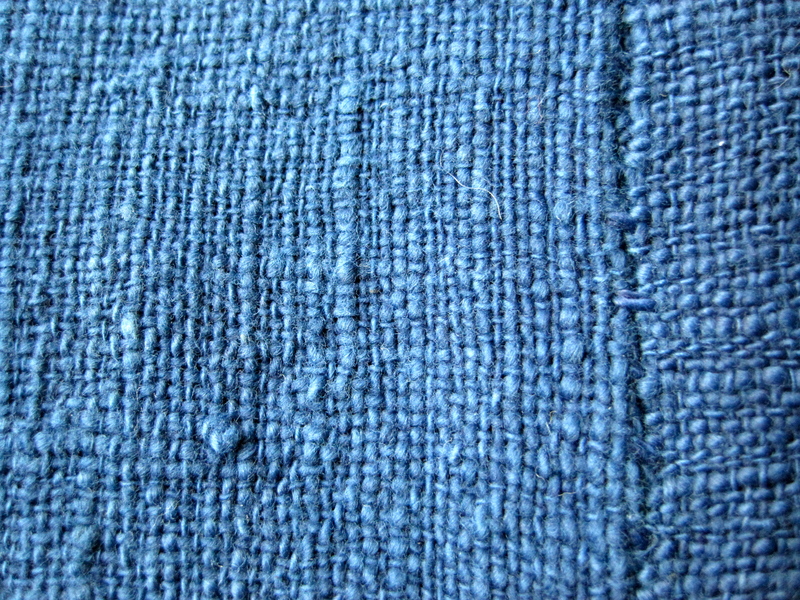 The over dying left the fabric with a beautiful mottled color that matches well with the inconsistencies of the hand spun thread.